spent yesterday home sick. 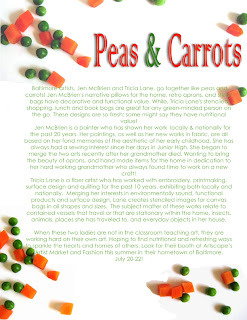 worked on the press kit for peas and carrots. what do you think? are we ready for an etsy shop? your blurb is really cute! I think you should try etsy, I've always wanted to.